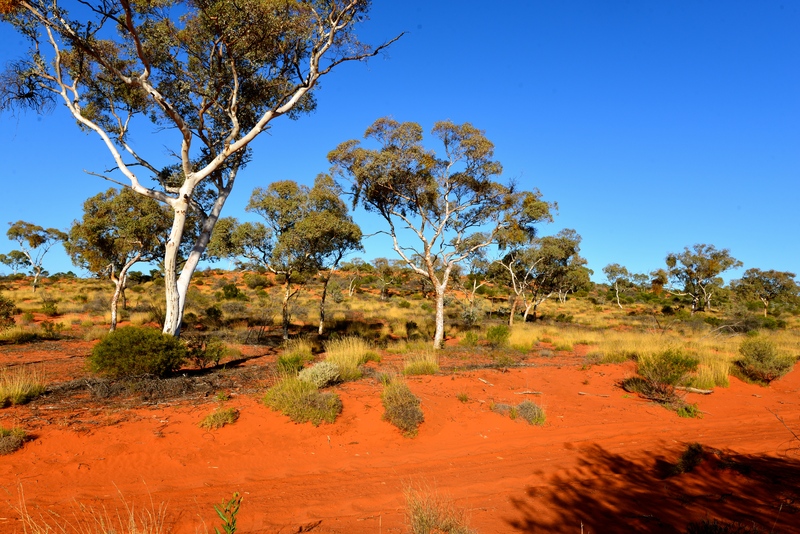 The Australian Outback – crikey, how good is it, hey! It may be appropriate that the words “GAS” appear on the surface of the tail-plane of this Cessna 310 as it was a fuel issue that led to a forced landing in a remote area of Australia in 1993. 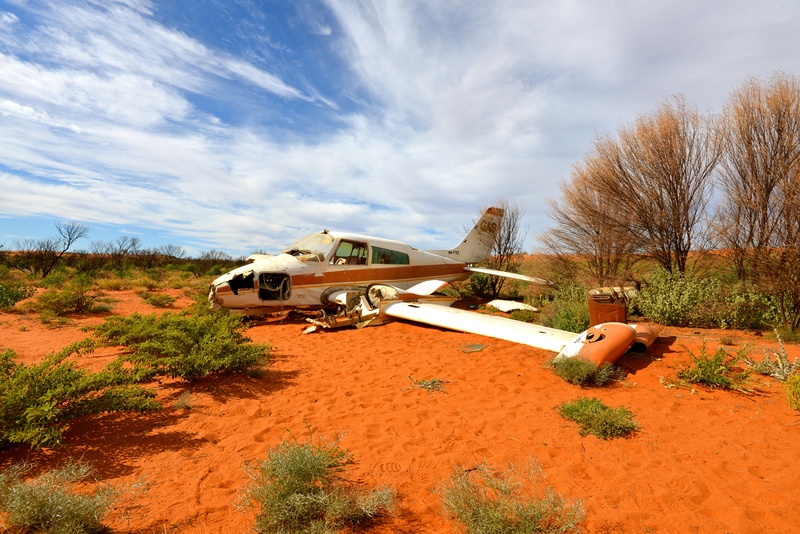 The plane, which is situated a short-distance from the Anne Beadell Highway in the Great Victoria Desert, made a forced landing after the pilot ran out of height, and time, to trouble-shoot an engine failure whilst en-route to the goldfields area of West Australia. According to the Australian Transport Safety Bureau Report, a contributing factor to the accident was a lack of knowledge and understanding of the aircraft’s fuel system by the pilot. Whilst the occupants were injured, no fatalities were suffered and these days the aircraft is a curiosity to many travelling this remote desert route. A highlight of our recent trip into the Western Deserts, which took us across The Great Victoria and Gibson Deserts in the Australian Outback, was a visit to Maralinga Village. Many Australian’s will remember Maralinga as being at the centre of the British Atomic testing program conducted in Australia during the 1950’s, such is life in the colonies, although perhaps it is only in more recent history that much of what transpired at Maralinga has been fully understood by the general public. We had not previously travelled the Anne Beadell Highway, the track that traverses The Great Victoria Desert, but were informed that the far eastern section from Coober Pedy, the usual starting point, to Emu Junction had some of the worst road corrugations one could ever find, and the crossing experience from a scenery perspective would not be diminished by avoiding this section. And I should clarify that the term highway is used in a very loose sense. 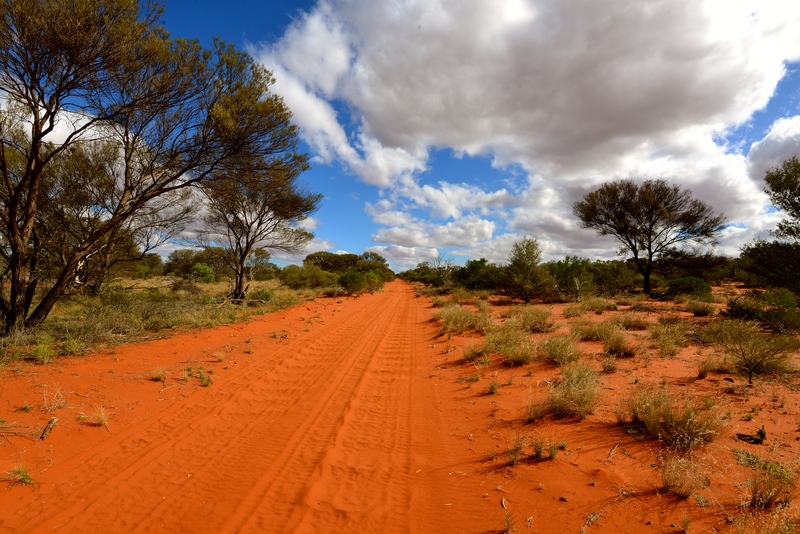 It is little more than an extremely remote sandy track that winds its way across a large part of Australia and not the place for a leisurely Sunday afternoon drive. With this in mind and a strong desire to visit the very place where the bombs were detonated we headed to Maralinga. 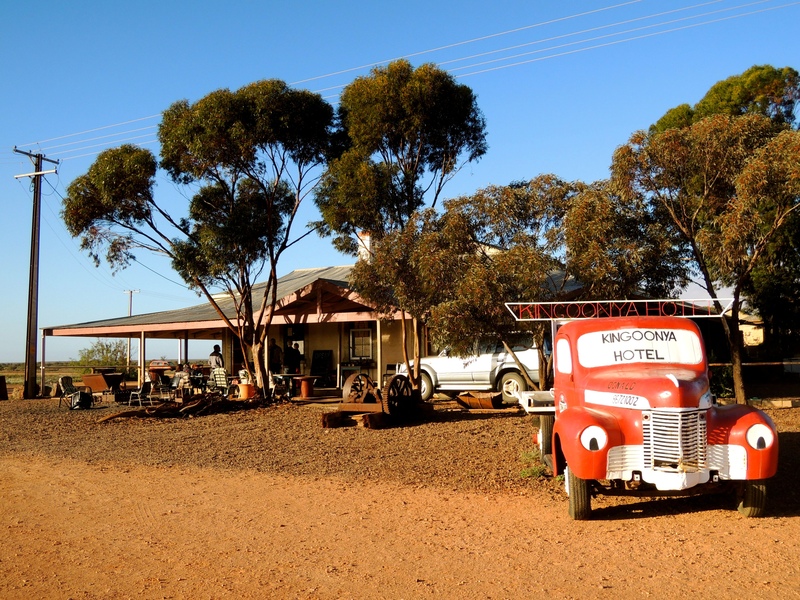 Passing by the small community and pub at Kingoonya we made our way west on another access road avoiding some of those bad corrugations, at least for a short time! 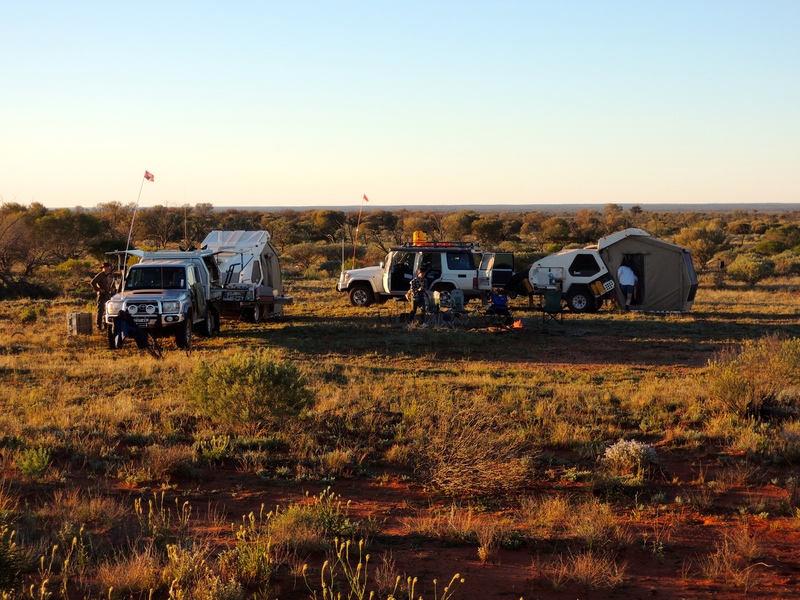 Robin Matthews, the care-taker of the now moth-balled Maralinga Village gave us a great welcome, meeting us at the locked gate that gives access before settling us into a camping spot nearby to a “donga” we could shower in. It is worth a walk around the small village and even a climb to the top of the water tower for a commanding view of the immediate facility and beyond. Mind you, it might be worth noting that if you want the commanding view gained by climbing a steel ladder to the top, do it sooner rather than later, as the Occupational Health and Safety team masquerading as the “fun police” might put a stop to that eventually. Being a family of climbers and mountaineers, we relished the chance! 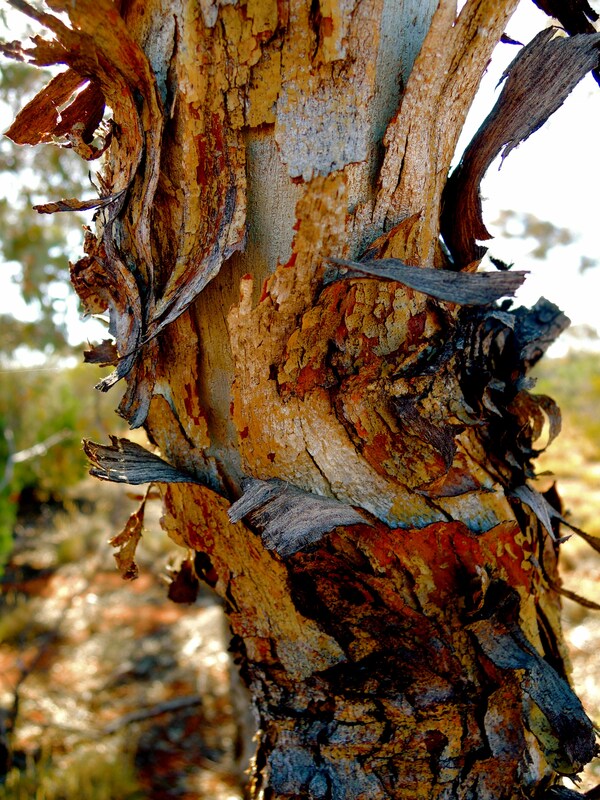 Robin has a strong connection to the area and the Maralinga Tjarutja (jar-u-ja) people and was able to relate in a sensitive way the impact the testing has had on the traditional landowners, many of whom live in the nearby community of Oak Valley. A visit to the air strip showed just how big this facility was and the focal point where service personnel were flown in and out of the area from England under a cloak of secrecy. The strip, measuring approximately two-and-a-half kilometres in length, was the distance the “human guinea pigs” stood from ground zero in one of the tests. Some of these people, many of whom were from England survived to live a long life, others died within a couple of years. But it is reported that health impacts have secreted its way into their offspring with devastating results. Similarly, it has had health impacts for the Tjarutja people who now mostly avoid the area due to superstition. 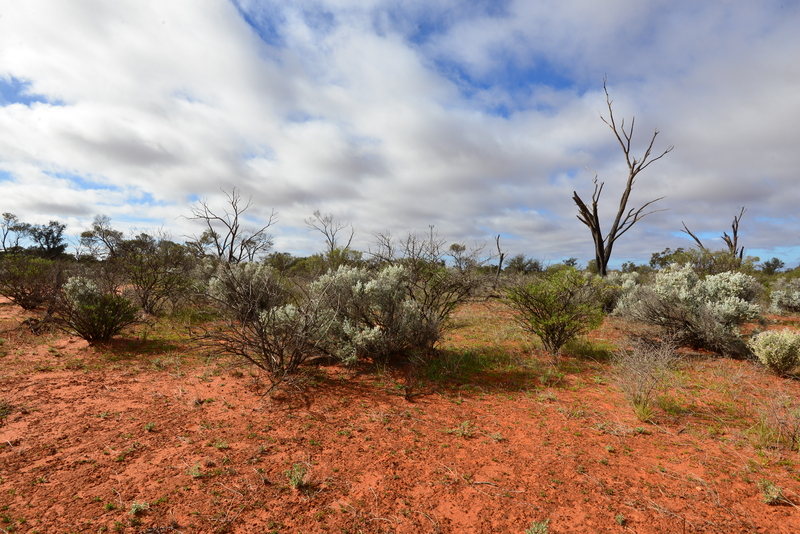 As Robin explained, for the traditional owners it would be like living in a cemetery. We spent a great day with Robin and towards its end we headed north along the Emu Road to a bush camp before continuing our journey to Emu Junction and across the Anne Beadell Highway to Laverton in Western Australia. A visit to an Atomic Bomb test site might not be everyone’s cup of tea or ideal holiday destination, and you are unlikely to leave with a healthy glow that a holiday in the islands might provide, but it enabled us to better understand a part of Australia’s more recent history and involvement in the nuclear arms race. And this was enhanced by a character you’d be happy to call a mate, Robin Matthews. If you are travelling that way and have a curiosity of Australia’s involvement in the “nuclear arms race” or perhaps just to draw some dots to the work that one of Australia’s more experienced contemporary bushman, Len Beadell, undertook in this region by building many of the roads, be sure to give Robin a call, I am confident you’ll enjoy the experience.